Trying to find pubs in Frome? You’ve come to the right place. We’ve got every pub and bar in the UK listed. 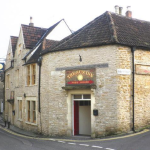 Whether you’re looking for a pub or bar in Frome to play darts, somewhere to play pool or just want to have a look at a menu before you go, we can help. 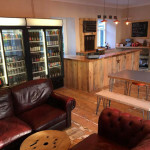 The Cornerhouse established itself in February 2011 and with continued investment has become a contender for one of the most popular places to eat, sleep and dine in Frome. Frome & District Conservative Club in Frome has a function room that can be booked. The pub has a dart board, it has DJ's. Frome & District Conservative Club has karaoke. The pub has live music events, it holds Poker Nights. Frome & District Conservative Club has a pool table. The pub holds quiz nights, it shows football on TV. Frome & District Conservative Club has terrestrial TV. 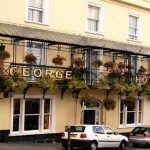 George Hotel in Frome has accommodation. The pub has a car park, it has disabled facilities. George Hotel gives a warm welcome to dogs and their owners. The pub is a family friendly pub, it serves food. George Hotel serves real ale. The pub has free WiFi, it is a member of Cask Marque. 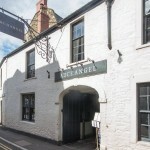 If you like your country boltholes to be a mix of old and new, then our artfully restored Somerset inn in the picturesque market town of Frome will tick all the boxes. 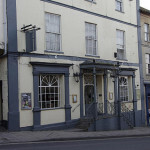 Crown Hotel in Frome has accommodation. The pub has a beer garden, it has a function room that can be booked. Crown Hotel has an outside area. The pub has a dart board, it has DJ's. Crown Hotel has karaoke. The pub has live music events, it holds quiz nights. Crown Hotel has a big screen. The pub shows football on TV, it has Sky Sports. Crown Hotel has terrestrial TV. Artisan Pub & Kitchen in Frome has a beer garden. The pub has disabled facilities, it is a family friendly pub. 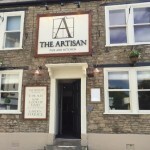 Artisan Pub & Kitchen serves food. The pub serves real ale, it has a smoking area. Artisan Pub & Kitchen has live music events. The pub shows football on TV, it has terrestrial TV. Sun Inn in Frome has accommodation. The pub has a beer garden, it gives a warm welcome to dogs and their owners. Sun Inn serves real ale. The pub has a smoking area, it has a dart board. Sun Inn has a pool table. The pub shows football on TV, it has Sky Sports. Sun Inn has terrestrial TV. 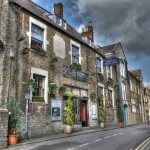 Blue Boar in Frome has accommodation. The pub has a dart board, it has a pool table. Blue Boar shows football on TV. The pub has terrestrial TV. Cordero Lounge in Frome gives a warm welcome to dogs and their owners. The pub is a family friendly pub, it serves food. 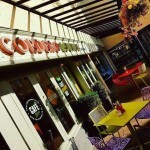 Cordero Lounge has an outside area. Crown & Sceptre in Frome has an outside area. The pub has a dart board, it has DJ's. Crown & Sceptre has karaoke. The pub holds quiz nights, it shows football on TV. Crown & Sceptre has terrestrial TV.